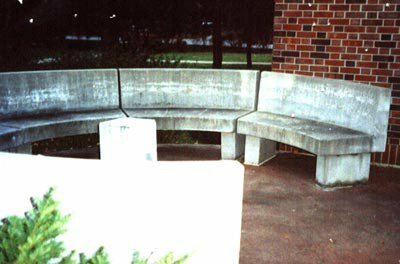 Our precast concrete Half-Moon Bench is cast with 4800 psi air en-trained concrete poured over a steel reinforced frame. This style comes in 59" sections weighing 1,200 lbs each. These sections can stand alone or be combined to create larger seating areas. The price listed above is the Pick-up price for one section. For more information Contact our Sales Staff.